Thank you so much! I missed this feature when I switched laptops. It’s something that should be available from the operating system’s main functions. I spent about 20 minutes on google trying to phrase what I wanted to do, and then I found this, and it was a simple download. Thanks! works perfectly on sony vaio fw43g running win7 64bit. even better if you pin it straight onto your taskbar. hopefully version 1.02 will see the fadeout to 'off screen' loose the cmd prompt box that flashes up VERY briefly. nonetheless, ideal for nighttime music listening, or as a 'boss key' function! Well I need an application like this, just that will be great, if the backlight not turning on, when I use the keyboard. I dont mind if I use the touchpad – the backlight come back…. That will be great, if backlight come back only if I press a keyboard combination like: ctrl + l …. Anyone can help me? Thank you very much! does any one else have this proble,?? Hi! I tried it on a Dell Studio 15 with Windows 7 64bits and it works! It's Great! Is there a way to add a combination of keys to wake the LCD instead of the mouse movement? That would also be a nice feature. Thanks for your great work! what about dual monitor users? Very useful…thanks for spending time developing this app…appreciate it. Works very well in a dual monitor system (QuadroFX 560), W7 Pro 64, PT. I will try it also on my HP 8510 Monitor. I really like this. Thanks now I can sleep. Is there any way this can control monitors separately? 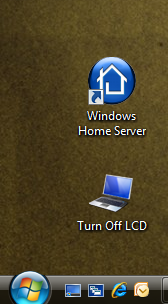 I have a TV as a second output but my monitor's power switch is broken, so it would be great if I could turn off the monitor display when I'm watching something on the TV – right now the program turns them both off. Is it do-able? I have tried the application, but I got the problem. 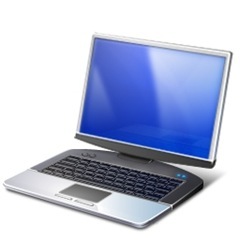 I am using HP notebook, and win XP. In fact, I have not install the .NET, is it the cause of my problem? Anyway, I just want to know how to turn on my monitor again. Is there any one know the solution? works great on Windows 7 32-bit. very handy app. thanks a lot! Works great in a vaio netbook with W7 Starter. Thanks. Thank you for sharing the download link for this very nice application. I use win2vnc on my laptop to remotely control my television-connected set-top box, which means that only keyboard & touchpad are used. 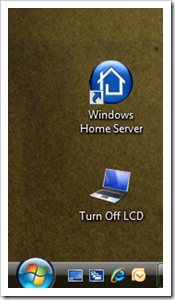 I thus would like to turn off the screen : it is possible to maintain pushed the little plastic button of my Dell laptop to emulate a closed lid, however I would love a software emulation of this behavior ! thanks dude, it works well with my HP dv6700! works great on Windows 7 32-bit. thanks a lot !! thanks, just what i was searching for. and im suprised to see such a simple app. Thanks a lot!! Using it on Windows 7 Pro 32bit. It is so useful. I run it on W7 Ultimate. Thanks a Lot My friend. i am going to visit this site daily for any updates. As a blind user, I too would like to be able to turn off my display and still use the keyboard and screen reader to save power (I can't see the display so no need for it). Sorry, but I have no idea why this didn’t work for me. I’m running Vista on my HP Pavilion, dv9000 series. The screen turns black for a second, then flicks back on.